The residents at The Lake Merritt will welcome many of the City of Oakland's mayoral candidates as well as the current Mayor of Oakland to our community in September and October. It is our plan to be well-educated about the choice that we will make regarding our fair city on election day on November 4, 2014. Each candidate will get approximately 30-40 minutes to speak to our community, and then another 50-60 minutes for a question and answer period. The residents and I have been working on a list of questions or topics that we would like each candidate to address during their presentations. These questions have been forwarded to each candidate for their consideration. These candidate presentations are free and open to the public. Seating is limited, so RSVP is required. Residents at The Lake Merritt celebrated Bastille Day in The Terrace Room Restaurant & Bar on Sunday evening with a special classic French menu. Our culinary trip to France began with the setting as we sat at our tables among photographs of quintessential French monuments, like the Arc de Triomphe, le Louvre, la Seine, the French Quarter, and of course, la Tour d'Eiffel. The mood was set as we listened to the songs of the great Edith Pilaf. There was a lot of fun by all. There is nothing better than good conversation with great people and excellent food. Merci beaucoup to both Chef Todd Fischer and Cook Extraordinaire Ryan Holmes for their outstanding efforts. was the 27th Annual Event called "A Taste of Italy." The Lake Merritt is honored to have been one of the many sponsors for this benefit to raise funds for Meals on Wheels which provides services for home bound older adults. 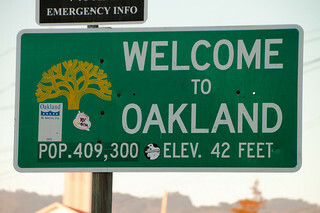 I am incredibly proud of my fellow Oaklanders for supporting this much needed organization. This annual benefit dinner, plus the upcoming bike ride in October, raises money to help underwrite the gap in funding. The government support they receive only covers approximately 50% of the costs to provide these daily nutritious meals. Public-sector funding for seniors has been stagnant over the past 25 years. That is both bad and good news. The good news is that funding has not decreased, but the bad news is that with a projected increasing population of older adults, support is not keeping pace. This will leave Meals on Wheels with the same amount of money for many more older adults in the coming years. Meals on Wheels is an incredibly important organization in our community. It is a vital safety net. Not only do they provide a nutritious meal for home-bound older adults, but they also provide a daily wellness check-up and companionship for those who have difficulty leaving their homes. I am happy to report that Meals on Wheels raised approximately $225,000 at this recent event. 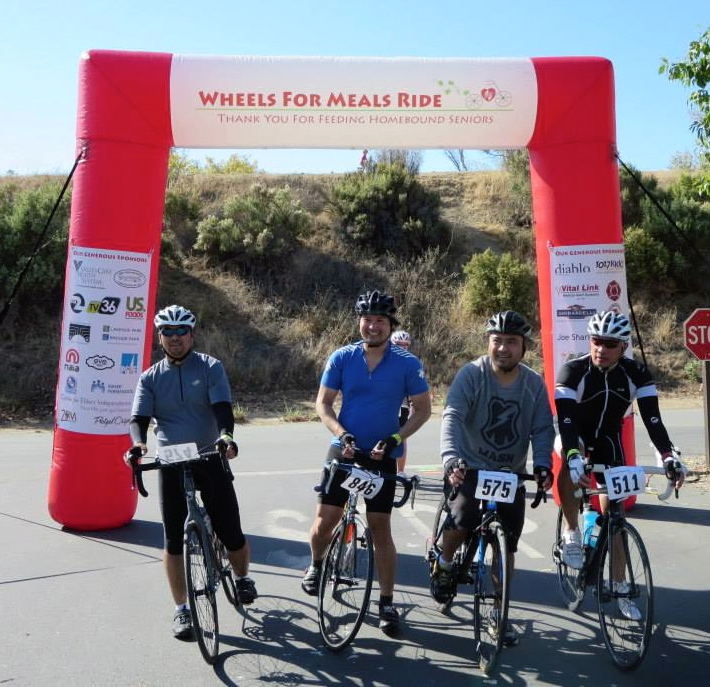 Mark your calendar for the 6th Annual Wheels for Meals Ride on October 18, 2014. For more information, please click here. May is Older Adult Month. My residents and I wanted to share a poem that we recently discovered during our Latino/Latina poetry discussion which was a part of our current monthly poetry series. This poem is "Instants" by Jorge Luis Borges. Jorge Luis Borges lived between 1899 and 1986. He was an Argentinian poet and essayist. 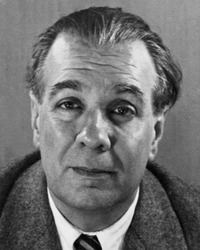 For more information on Jorge Luis Borges, please go to www.poetryfoundation.org. Several Sundays ago, The Lake Merritt held our second-ever open mic(rophone) night. It's our live show where audience members share their talents in poetry, music, and spoken word. If you've ever attended an open mic, you probably know that the program can be a wild smorgasbord sometimes filled with off-the-wall storytelling, political rants, awkward humor and (if you're lucky) surprising talent. I am pleased to report that our residents, staff and friends steered clear of the roughage and went straight for the talent-laden meat, and the results were delectable. The afternoon started off with a series of heartfelt, personal readings by Betty, one of our resident writers. Her reflections on leaving her longtime home and cherishing the company of her late husband set a memorable tone of intimacy and honesty. Several readings and recitations followed. Next up was Warner's poignant reading of selections from the epic poem "Childe Harold's Pilgrimage" by Lord Byron. It had the audience riveted. Then, Meghan brought the house down with her costumed portrayal of a cowboy coming to terms with the concept of reincarnation. Her note-less recitation of Wallace McRae's hilarious poem, "Reincarnation," which ultimately equates the author's cowpoke friend with the cow plop he will end up as, had us all in stitches. Jim followed that tough act as only he could. With the fifth anniversary of his moving to The Lake Merritt on the horizon, Jim took the opportunity to reflect on some of the observations and realizations he has had. His list included such nuggets, as: "A woman has the last word in any argument. Anything a man says after that - is the beginning of a new argument." Also, "Crickets let blind people know when it's night time." And one more: "Do not regret growing old. It is a pleasure denied to many." Needless to say, we ate it all up with delight. A mysterious guest of honor was said to be on the way, but had not yet arrived when the audience ran out of material. So Ryan (the MC) and Todd (a Terrace Room Restaurant server extraordinaire) picked up their guitars to serenade the audience with some ballads. Ryan's rendition of a folk-y tune, "Meet Me Here at Dawn," was followed by Todd's covers of "Nowhere Man" by the Beatles and Bob Marley's "No Woman, No Cry." Then Rodney, our frequent guest jazz pianist, arrived and was revealed to be the mystery guest of honor. Without a hiccup, he sat down and played a couple of evocative arrangements of classic love songs. Rodney is truly an artiste. Ryan pulled out his saxophone and joined Rodney on-stage for a rendition of "What A Wonderful World," followed by an improvised jam on the song " L-O-V-E."
The audience applauded heartily and basked in the glow of shared passions, a few staying well after the end of the open mic to chat with each other and enjoy, as Rodney noodled around on the piano. The Bay Area is blessed with buildings created in great architectural style. Our very own The Lake Merritt is proud to have been designed by one of California's most prominent architects. No, it's not Bernard Maybeck, nor Julia Morgan, but its another big-name talent: William H Weeks. The Lake Merritt opened its doors in 1927 and the design by architect, William H. Weeks was immediately toasted in the media. The "apartment hotel" concept was "perfect for those who arrived in Oakland by train for an extended stay." The building was praised for its elaborate "Art Deco touches" and considered "quite posh." 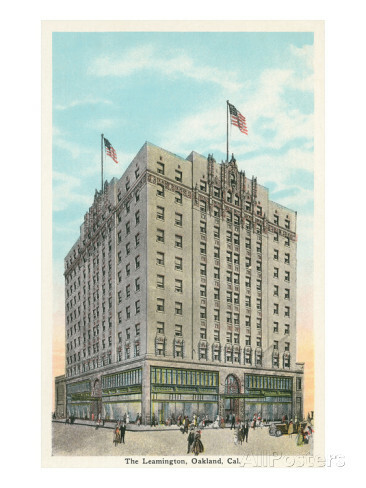 In addition to luxury and comfort, the hotel was considered "chic," the go-to destination for social events with the first coffee shop and a convenient pharmacy on the premises for those living downtown. Weeks was quite an interesting entrepreneur. Born in Canada, he made his way to California in the late 1890s. He opened his first architectural office in Watsonville and shortly thereafter another in Salinas. He designed many buildings in the Monterey/Santa Cruz area. Expanding his business, he opened an office in San Franciso, (was unharmed during the San Francisco's 1906 earthquake) and eventually opened offices to serve clients in Oakland and San Jose. By 1928, Weeks was leading one of the largest and oldest architectural firms in California. Much of his prominence comes from his designs for the Carnegie libraries throughout Northern and Central California. 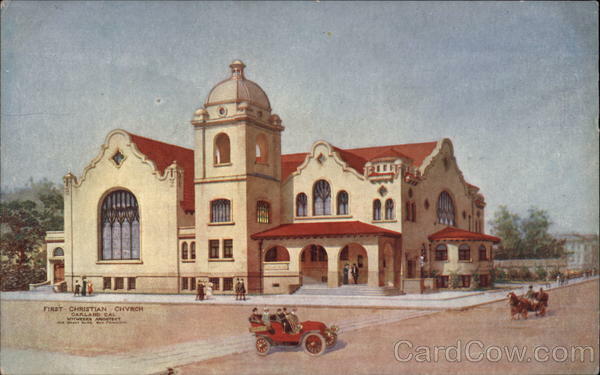 He designed 22 Carnegie libraries, including Oakland's Melrose Library and many schools throughout Northern California, including Piedmont High School in Piedmont, CA. Oakland is lucky to have several buildings that Weeks designed which have been well maintained and are still in operation. He designed the Hotel Durant in Berkeley, the Hotel Woodland in Woodland, CA, and the De Anza Hotel in San Jose. 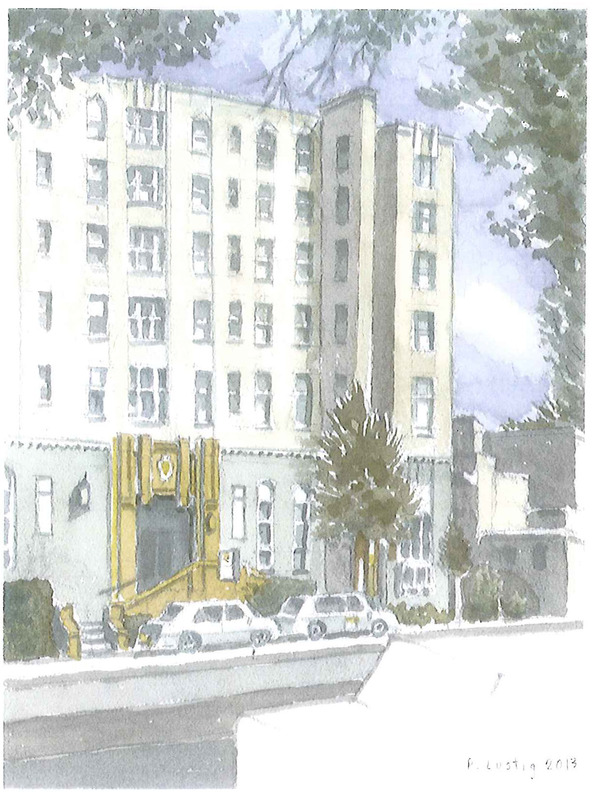 In Oakland, he designed the Madison-Lake Apartments, later known as the Lake Merritt Hotel, and now The Lake Merritt-Independent Senior Living, along with the Leamington Hotel on Franklin Street, and the First Christian Church on Fairmount Street. Weeks' designs were eclectic in style, ranging from Spanish revival and Mediterranean Art Deco for the hotels to Romanesque and Greek temple styles for many of his libraries. Do you worry that your bones might be like swiss cheese? Have you wondered what makes a calcium-rich lunch? Last Wednesday, March 26th, we hosted our 2nd Annual Bone Health Fair and we learned the answer to these and many other questions. Many people 50 years and older, don't know they have bone disease until they actually break a bone. The Lake Merritt presented this free Bone Health Fair in conjunction with American Bone Health, a non-profit organization that provides education, resources, and tools to help people understand bone disease and bone health. Highlighting the fair was our distinguished speaker, Dr. David B. Karpf, the Adjunct Clinical Professor of Endocrinology at Stanford University School of Medicine. He is also the Attending Physician at the Osteoporosis and Metabolic Bone Disease Clinic at Stanford University Hospital and Clinics. Dr. Karpf was a font of knowledge on the issue of bone health, and was incredibly generous with his time. He answered many questions from the audience, and talked to many attendees one-on-one after his presentation. After Dr. Karpf's talk, all attendees enjoyed a calcium-rich box lunch compliments of The Terrace Room Restaurant & Bar at The Lake Merritt. The lunch consisted of a five-ounce piece of grilled salmon served on a bed of spinach and a cup of Greek yogurt for dessert. This lunch accounted for 443 mg of calcium! American Bone Health recommends that you get between 1,000-1,200 mg per day, but the body can only absorb 500 mg at a time. Vitamin D is also important and you need between 800-3,000 IU per day. Consult with your doctor, as the amounts recommended change with age. The final recommendation to build stronger bones is weight-bearing exercise at least three (3) times per week to start. This includes walking, dancing, tennis, and also modified pilates and yoga to name a few. Following lunch, our attendees then completed a screening to determine their bone health. The tests included fracture risk evaluation, posture and balance evaluation, calcium and vitamin D calculation, and medication reviews. American Bone Health and The Lake Merritt are proud that most attendees left the Bone Health Fair with a better understanding of what they can do to prevent or improve their bone health. If you missed the Bone Health Fair, look for our 3rd Annual in 2015. Our Glamorous Oscar Party - Matthew McConaughey Drops by! The Lake Merritt community celebrated Oscar Night in style this past Sunday! Our Master of Ceremony (MC) was Matthew McConaughey in his character from the movie, Dallas Buyers Club! Matt was performed by our own Ryan Wilcox, Programming Coordinator Extraordinaire, Texas drawl and all. Matt entertained us through the long commercial breaks with random Oscar Trivia questions, and stumped us a few times. Did you know which person has had the most Oscar nominations? No, it is not Meryl Streep! It is John Williams, the composer. We had awards for our residents too: Best Dressed went to our own lovely Norma with her fabulous vintage style, and Most Correct Oscar Ballot Votes, went to Violet, who must have had a crystal ball. She nailed 12 out of 18 categories!!! What an evening! Laughter filled the room and lots of fun was had by all. Our Oscar party-goers began their star-filled night by dining on a special menu of tri-tip or salmon, roasted potatoes, ratatouille, and decadent brownies for dessert. We ended the evening toasting the winners, some with wine and others raising their glasses of ice tea. Most of us made it through the four-hour extravaganza. The consensus was that 12 Years a Slave was absolutely the Best Picture of the Year. The Lake Merritt "Academy" and those in Los Angeles were in agreement. 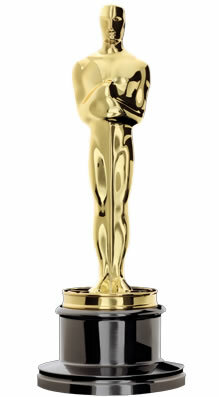 We made promises to see ALL of the Oscar-nominated movies in 2015, but you know what? Even if we miss a few, the good news is that we know that there are some really good movies coming out soon on DVD. P.S. The mustache is real. On Thursday afternoon, at our lecture series, Conversations at The Lake Merritt, the entire The Lake Merritt community came out to support our very own newly published author, Vilma Vitanza. Vilma has been an integral part of our community since 2012. She has brought and continues to share her energy and verve to our community, especially when she breaks out in song and dances down the hallway. Vilma and several of her friends entertained us by reading passages from her new book, Fumes and Fine Dust. The story follows Vilma's workplace exposure to brain-damaging toxicity and her efforts to discover what was causing her health issues while working hard to keep her job and self-esteem. It is an intense story, but ultimately uplifting, as Vilma never stopped struggling to get back to the woman she was! She sought and found new ways to restore herself to wholeness: introspection, dancing, singing, and a new relationship with nature. The story that she wrote surprised us all. But what did not surprise me was when a person in the audience asked how she was able to be so positive when she had such difficulties in her life. I think almost everyone in the room was thinking the same thing. Vilma is so upbeat and fun! Vilma's response was that she was naturally rebellious. No one was gong to tell her what she could ot could not do. Vilma was determined to be positive, and use the philosophy of "mind over matter." She ultimately won. Vilma, I know I join with our residents in great admiration for you and your struggle to get back to you. You are an amazing person! 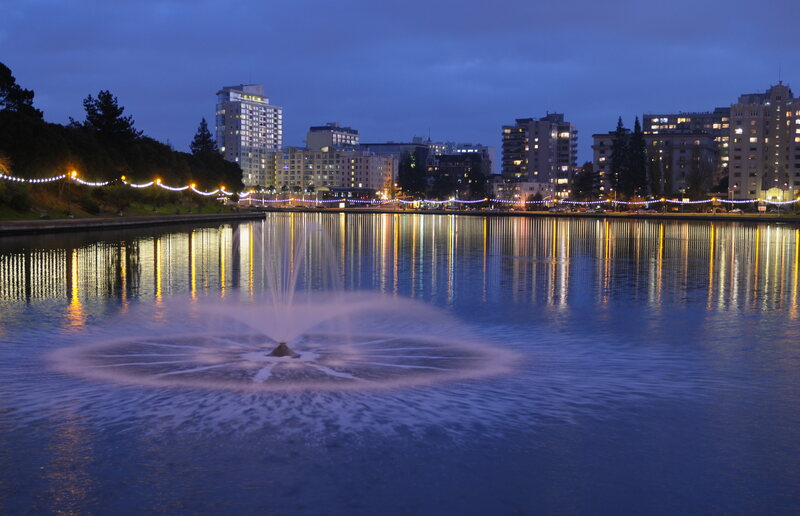 Did you know that there is a "Necklace of Lights" which encircles Lake Merritt? Right outside our door and illuminating the entire lake, the famed Necklace of Lights creates a magical atmosphere for all to enjoy. The necklace was first installed in 1925, complete with 126 lampposts and 3,400 "pearly bulbs" illuminating 3.4 miles of shoreline. The lights were turned off in 1941 during World War II to comply with wartime blackout mandates. In the post-war years, the necklace fell into disrepair. The lights remained off until business leaders of The Lake Merritt Breakfast Club led a campaign to turn the lights back on. Their effort, part of a 10 year beautification campaign for Lake Merritt, brought the Necklace of Lights back to life in 1985. Since then, these beautiful lights illuminate our lakeshore every night from dusk until dawn. On May 3, 1985, the Necklace of Lights was designated an Oakland Landmark.